A 9-3 sedan built by NEVS has the Saab brand name. NEVS now plans a different badge aimed at Chinese customers. Saab AB, the Swedish aerospace company that owns the Saab brand, will not allow its name or logo to be used on future models produced by National Electric Vehicle Sweden (NEVS). 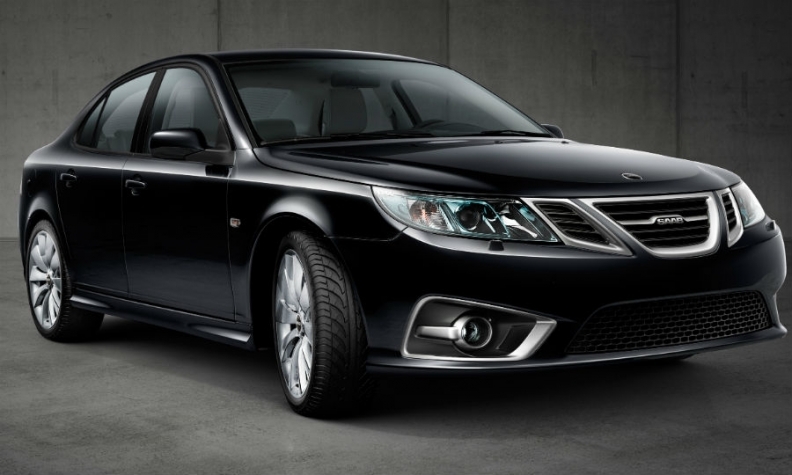 NEVS, which bought the assets of bankrupt Saab Automobile in 2012, has announced two big deals in the past few weeks to supply electric Saab 9-3-based sedans to two separate Chinese companies as part of China's push to make EVs a mass-market alternative to gasoline cars. Pictures of the 9-3 EV released by NEVS have the Saab name and a modified Saab badge, creating speculation that NEVS will sell its cars under the Saab brand name. Saab AB withdrew NEVS' right to use the Saab name two years ago after NEVS sought protection from creditors. NEVS was never granted the use of the Saab AB's iconic griffin badge and developed its own Saab logo. Saab AB reaffirmed that NEVS will not be allowed to use the Saab name. 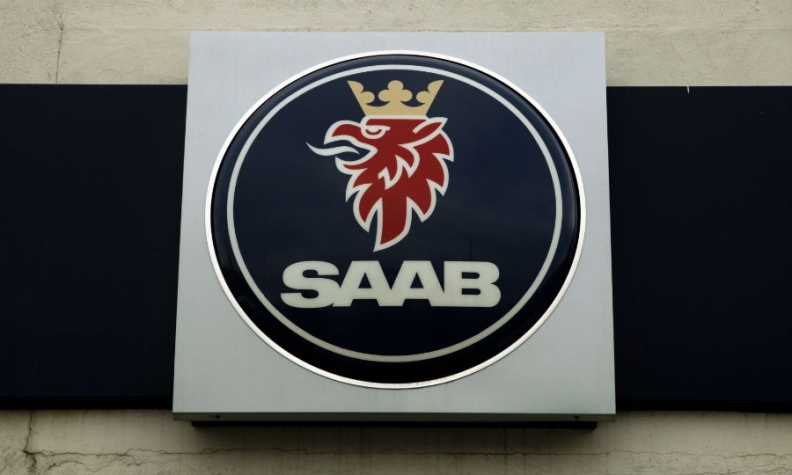 "We have revoked their right to use the brand name" and there is no longer a discussion about NEVS using it, Saab AB spokesman Sebastian Carlsson told Automotive News Europe. The iconic Saab Griffin badge will not be seen on NEVS' future 9-3 sedans. NEVS now plans to sell electric 9-3s under a new brand name designed to suit the Chinese market, NEVS owner, Kai Johan Jiang, told Sveriges Radio, Sweden’s public broadcaster, in an interview. A NEVS spokesman told Automotive News Europe: "When we launch our upcoming vehicles we will be very precise with what kind of brand we will use." NEVS, an investment group led by renewable energy power-plant builder National Modern Energy Holdings, sought protection from its creditors in 2014 after struggling to deliver on a target to produce 120,000 cars a year. NEVS said last month that it will provide Chinese leasing firm Panda New Energy with 150,000 9-3 electric vehicles by the end of 2020 in a $12 billion deal that also includes other EV products and services. The agreement marked a big breakthrough for NEVS, which said it would hire hundreds of new staff. NEVS is also due to deliver 20,000 9-3 sedans to China Volant Industry (Volinco) between 2017 and 2020 in a deal worth about $996 million. NEVS said it is building a new factory in China due to be fully operational in 2020. The plant will assemble cars built at Saab's factory in Sweden. 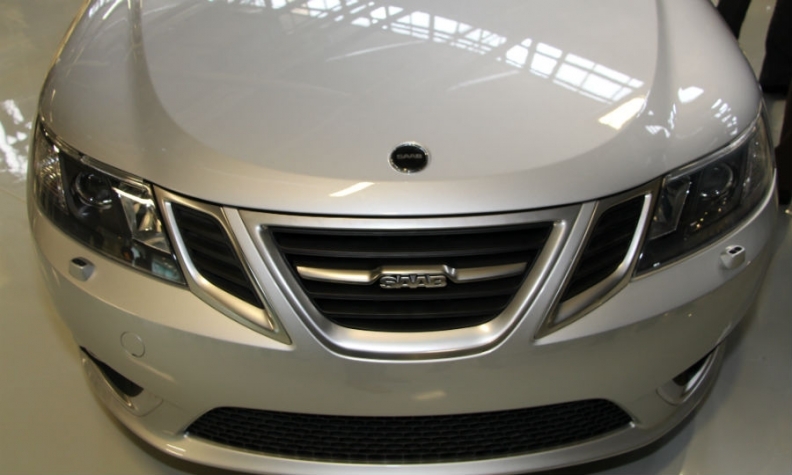 A NEVS 9-3 has a Saab badge on the hood and the Saab name on the grille. NEVS exited Swedish corporate reorganization procedures last April. While the company was in administration, NEVS' administrator said an Asian automaker had agreed to purchase a majority stake in the company without identifying the potential investor. The Financial Times at the time said that India's Mahindra & Mahindra was close to sealing a deal to buy a majority stake in NEVS. Swedish reports said China's Dongfeng Motor was in talks to set up a joint venture with NEVS. Neither of the reports became a reality.